When a fire breaks out, every second counts. The slower the fire spreads and the smoke develops, the more time there is to limit damage and to evacuate. 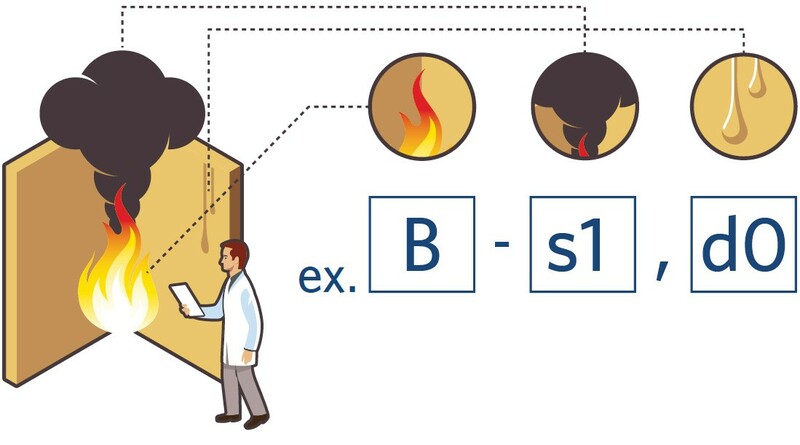 There are two important elements to fire safety: fire reaction and fire resistance. Many people who perish in a fire do so because of suffocation or rapid spread of the fire. The fire reaction of a product determines its contribution to these factors. 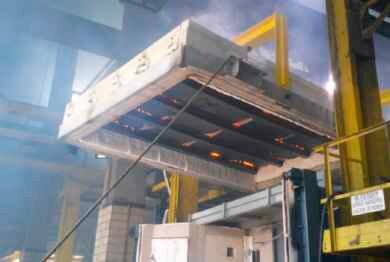 The flammability of the top side and the spread of fire over the surface are measured of the Mezzanine floor panel. 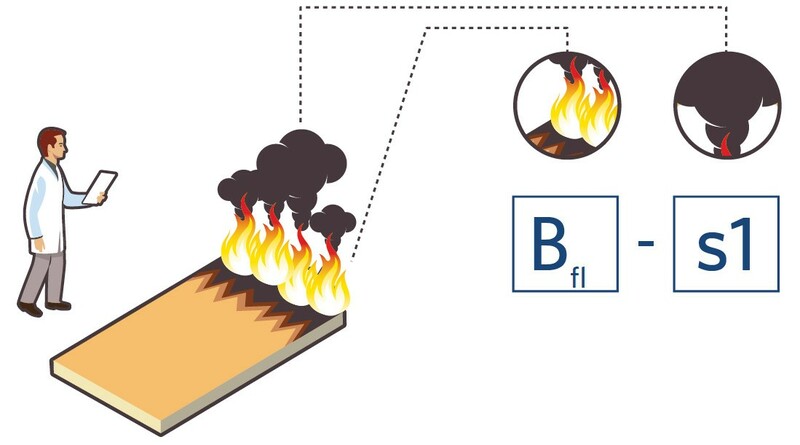 For the ceiling or bottom side of the Mezzanine panel, the flammability is measured and the reaction in the event of an incipient fire is simulated. The Mezzanine range from UNILIN comprises a series of high-quality fire-retardant floor panels. The Supreme product range improves the fire reaction on the top side, the Flameshield range improves the fire reaction on the top side and ceiling side. Fire resistance refers to the capacity of a construction element to retain its supporting function, integrity and/or thermal insulation for a specified time in the event of fire. 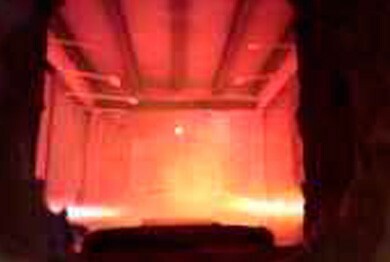 The higher the fire resistance of a construction element, the better the element is capable of limiting the spread of fire to other areas. 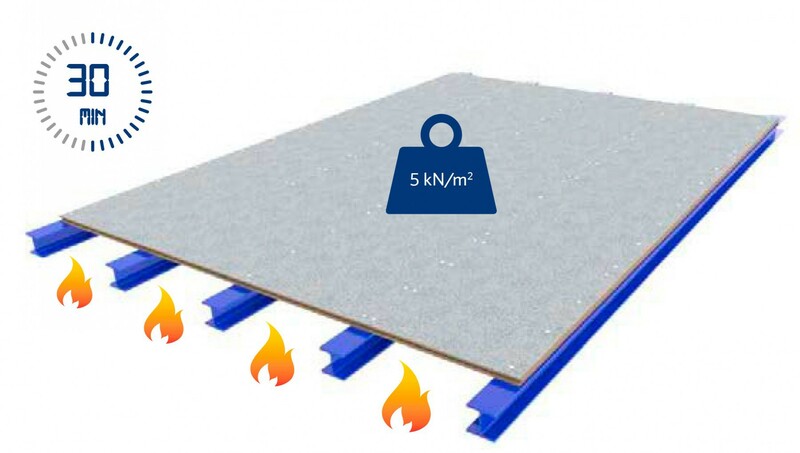 Unilin U7 Mezzanine floor panels have been tested to 30 minute fire resistance (REI 30, only applies in accordance with a specific floor construction*). The floor panels are installed with a tongue and groove joint, attached with bolts and supported by unprotected steel beams. In addition to the weight of the floor, an additional distributed floor load is placed on the mezzanine floor. * The fire resistance achieved applies only for a specific tested floor construction. Variations in this construction do not give rise to the same result, by definition. For information concerning this setup or concerning use of this information in your project, please contact us.